In a shocking accusation, Subir Ghosh -- the writer who shot into prominence for controversially criticising Reliance Industries Ltd (RIL), India's top industrial house, for cronyism in a book he co-authored, "Gas Wars: Crony Capitalism and the Ambanis" -- has called Gujarat-based journalists, without naming them, of "intellectual laziness" for failing to expose state PSU Gujarat State Petroleum Corporation (GSPC). 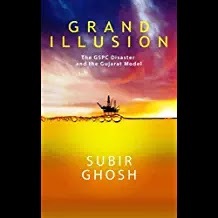 In his new book, which was released recently in Ahmedabad ahead of state assembly elections, "Grand Illusion: The GSPC Disaster and the Gujarat Model", Ghosh does not stop here, he continues to heap insults on Gujarat journalists, saying, they did not report or question the the GSPC's actual reserves in its Krishna-Godavari misadventure, announced by Narendra Modi to be 20 trillion cubic feet (tcf). Ghosh says, not only did newspaper reports seemed to buy the Modi argument of the 20 tcf claim as being "proved" reserves’, wrongly believing that "the gas in place" were "economic predictions" not based on actual numbers, he complains, "No journalist questioned the numbers since they would not have known the difference"! The story first appeared in TOI in 2005 after unconfirmed reports began to trickle in Gandhinagar Sachivalaya quoting sources in DG hydrocarbons, the Central regulator, that the gas find was quite low. Since the DG was a UPA appointee, and therefore possibly couldn’t be relied upon, the effort was made to confirm it from state officials. The story specifically said: The 20 tcf balloon had been pricked. Recalling how Modi announced the 20 tcf claim before media in June 2005, Ghosh seems to make appear as if he was present on the occasion. His book describes it thus: "After three days of rains, the skies began clearing up that Sunday evening. As the day languorously drew to a close, journalists in Gandhinagar/Ahmedabad were jolted out from their weekend lethargy and summoned to a press conference that was to be addressed by Gujarat Chief Minister Narendra Modi." Interestingly, Ghosh doesn't know: Modi called his "urgent" press conference to announce the “biggest ever gas find in India”, valuing at around Rs 2 lakh crore, at the Sardar Patel Institute of Public Administration (SPIPA), Ahmedabad, and journalists -- whom he calls "lazy" -- had to reach the site amidst heavy rains lashing the city that day morning (not evening after "three days of rain"). Banking on information provided by Congress leader Shaktisinh Gohil, Ghosh in his book admits, the Opposition leader failed to create a stir around GSPC, with the TOI, Ahmedabad, "burying" what he all he said on the sixth page in a single column, even though what he wanted to reveal "has been crying to be re-told" ever since. Seeking to give full credit to Gohil, Ghosh says, "To his credit and in hindsight, he had raised the right questions, and even rattled off the right numbers", but regretting, "If journalists in Ahmedabad and elsewhere in Gujarat did not pursue the thread, it would have been either because of their own intellectual laziness, or their perception of the entire episode being that of unsubstantiated rants of a political leader out to get his rival party by hook or by crook." 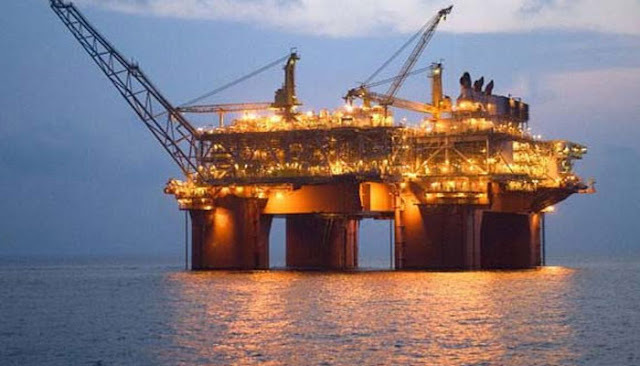 The story that Gohil came up with was about "a dubious deal between the GSPC and a Canada-based company called GeoGlobal Resources", which held "a 10 per cent stake in the Krishna-Godavari Basin gas exploration project of GSPC", says Ghosh, even as quoting Gohil as saying, "At the time of offering the 10 per cent stake in the KG Basin block by [the] GSPC to GeoGlobal, the capital stock of GeoGlobal stood at a meagre $64..."
Calling Gohil "wise", Ghosh says, "He refrained from turning it into a BJP-Congress mud-fight, and assertively demanded a white paper on the subject from the government. The roles of chief minister Narendra Modi, minister of state for energy Saurabh Patel and other bureaucrats needed to be examined, he declared." However, again Ghosh laments, "Still, he failed to cut ice. Once again, TOI relegated him to the same sixth page. Gujarati language newspapers gave the subject more prominence, but that was all. Goings-on at the GSPC remained news only of ‘local’ interest, that too of not much financial importance. The BJP maintained a cavalier attitude and remained dismissive of Gohil."